I had a doctors appointment today so had to work from home. It’s quite the treat as I got to make pancakes for my breakfast before starting my work, lovely! Couple that with a lunchtime Pokemon walk and then fajitas with Nic and I’m having a wonderful day! 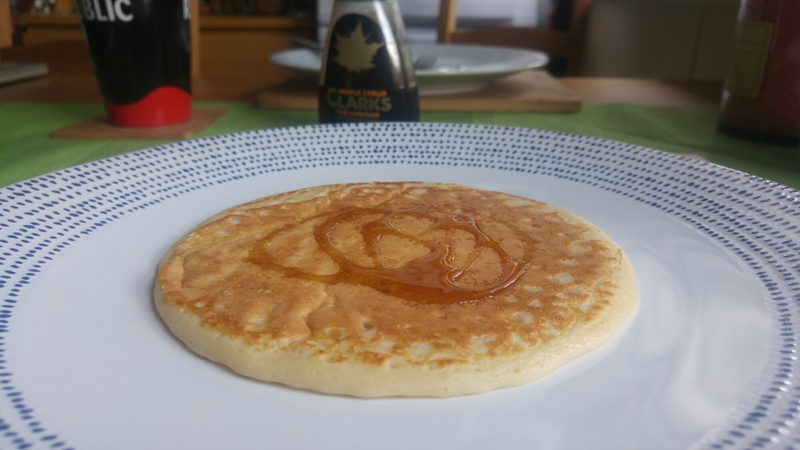 I finally had pancakes yesterday and yours looks perfect. I was craving it for a while and finally broke down to make everything from scratch. It’s work measuring the flour,sugar, milk etc. but worth it when you eat that wonderful fluffy pancake. Thanks for sharing. Mine are so simple! Mug of flour, mug of milk and one egg. Mix all that together then cool them 🙂 takes seconds to make the batter and they’re so good!